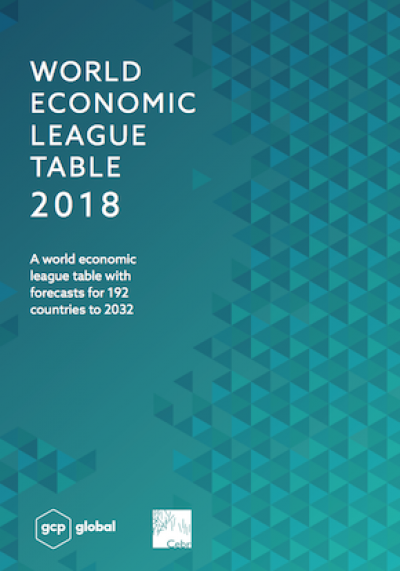 2018 is the first time the Indian economy will overtake both those of the UK and France in real money dollar terms and will go on to be the world’s third largest economy by 2032, according to the World Economic League Table - a report published by the Centre for Economics and Business Research (Cebr) and Global Construction Perspectives. The Cebr's fears that Brexit would have "a significant transitional effect on the UK economy" have been allayed and it "seems likely" that the UK will soon overtake France again. This will be driven by "the UK’s particular blend of the tech sector and the creative sector... and by the probability of a fairly soft Brexit."